Update: All charges against the bloggers have been dropped. February 14, 2018: After an attempt to re-open cases against Befequadu Haile, Natnael Feleke, and Atnafu Berhane, prosecutors in Ethiopia today indicated they were dropping all charges. The announcement came as part of a set of reforms around political prisoners, which included the release of blogger Eskinder Nega. October 16, 2015: Zone 9 bloggers acquitted! After 539 days of detention, the four Zone 9 bloggers still held in Ethiopia were today found innocent of all terrorism charges. Befequadu was found guilty of inciting violence based on a confession obtained during his imprisonment, but was released, having already served his term. Natnael Feleke, Atnaf Berhane, and Abel Wabela were found innocent of all charges. The bloggers are expected to be released by October 19. 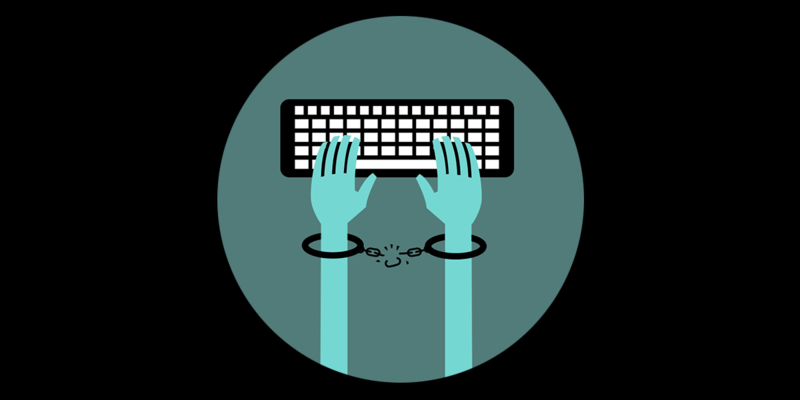 Befequadu was imprisoned because of his online writing, and knowledge and use of digital encryption tools. He and his fellow contributors to the group blog Zone 9 were arrested by the authorities in April 2014. Their blog takes its name from eight zones of the notorious Kaliti prison. Kaliti's Zone 8 contains political prisoners. Given the harsh controls on freedom of speech and association across Ethiopia, the bloggers' suggested that they and the rest of the country were living in the ninth. The prosecution claimed that Zone 9 was funded and organized by outlawed anti-government groups, despite the blog's even-handed critiques of all sides of Ethiopian politics. These accusations relied on portraying the Zone 9 bloggers' technical knowledge as dangerous. The court was told that the bloggers attended foreign trainings by technologists where they learned how to use secure communications software. Printed copies of guides to digital security and encryption tools were cited as evidence of their “terrorist” activity. After over a year in jail, three of the six bloggers — Tesfalem Waldyes, Asmamaw Hailegiorgis and Zalalem Kibert — were freed, and all charges against them were dropped. Their release preceded a visit by U.S. President Barack Obama, whose administration has consistently called for the bloggers' release. (President Obama's Secretary of State, John Kerry, had previously met with the bloggers before their arrests.) Befeqadu Haidu, Natnael Feleke, Atnaf Berhane, and Abel Wabela, remained in prison. Befeqadu, 33, is an IT professional by training, and blogger and writer by interest. He won the 2012 Burt Award winner for African Literature, and is a Global Voices author and translator. He has written widely on various issues from human rights to Ethiopia’s poor telecommunications services. After Befeqadu suffered sustained persecution for over two years, he was arrested on the street of Addis Ababa. He spent 75 days in solitary confinement before he was allowed visitors. The Ethiopian government authorities arrested Befeqadu for collaborating with foreign human rights organizations “to use social media to incite violence”. He told the judge in the case that he was made to sign a false confession. Natnael, 28, was an early Internet enthusiast whose friends say has an optimistic worldview and enduring character. As a co-founder of the Zone 9 blog, Natnael was well known for heavily engaging with his Facebook and Twitter followers on various issues, especially economics, his area of expertise. Natnael was taken from his office by the Ethiopian police on April 25, 2014. He was forbidden to contact his family or friends for about 75 days. He was also forced to disclose his passwords and sign a false confession. Abel, 29, is one of the co-founders of the Zone 9 blog, as well as an author and translator for Global Voices. In early April 2014, while Abel was traveling home, he was violently attacked by assailants who took his laptop and phone. Though he eventually reported the attack, the police refused to follow up with an investigation. Abel believes the assault was connected to his blogging. Shortly afterwards, on April 25, he was arrested at his workplace. He too has reported that he was tortured into revealing his passwords to all of his online accounts. Atnaf, 26, is the youngest of all the Zone 9 bloggers. Even before co-founding the Zone 9 blog, Atnaf was a prominent social media activist. His work involved visiting the Ethiopian political prisoners in the eighth zone of Kaliti prison. Atnaf was seized by the police as he was walking down the street, and taken to the detention center. He wrote of his experiences in an open letter to U.S. Secretary of State John Kerry, which was smuggled out out of prison in April 2015. After 539 days of detention, the four Zone 9 bloggers still remaining in Ethiopian jails were found innocent of al terrorism charges. Befequadu was found guilty of inciting violence based on a confession obtained during his imprisonment, but was released having already served his term. Natnael Feleke, Atnaf Berhane, and Abel Wabela were judged innocent of all charges. All the Zone 9 bloggers are now free. A seventh member of the Zone 9 bloggers, Endalk Chala, was studying in Eugene at the University of Oregon at the time of the arrests. Endalk was EFF's Google Policy Fellow for 2014. He tirelessly advocated for his colleagues release throughout their detention. More Offline cases of imprisoned bloggers and technologists.